This could so easily have been a narrow win for Liverpool, but unfortunately, it wasn’t mean to be. Positives include the clean-sheet and the way we dominated the game against a good side. GK) Loris Karius – 6 – Literally nothing to do all afternoon for the young German. DR) Nathaniel Clyne – 7 – Industrious down the right. Missed a stonewall chance late on with his head. DL) James Milner – 6 – Toiled down the left, but his end product wasn’t very good. DC) Joel Matip – 8 – Classy and composed at the back throughout. A superb centre-back. Always made the right decision, too. DC) Dejan Lovren – 7 – Southampton’s boos didn’t affect Lovren who was solid alongside Matip. DMC) Jordan Henderson – 7 – Passed and tackled well at the base of midfield. MC) Gini Wijnaldum – 6 – Couldn’t properly get into the game. Didn’t offer anything productive going forward. MC) Emre Can – 6 – Like Wijnaldum, wasn’t creatively effective, although helped us dominate possession throughout. 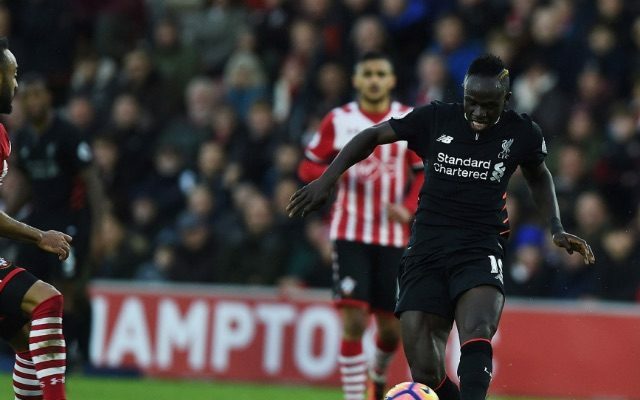 AMR) Sadio Mane – 7 – Forced a great save in the first-half but found it difficult to get in behind despite playing on the shoulder. AML) Coutinho – 6 – Saw loads of the ball but looked visibly jaded. Fluffed a one-on-one chance and got outmuscled on a few occasions. FC) Firmino – 7 – Pressed fantastically and showed his class from deep, but missed an absolute sitter in the second-half when played through by Coutinho. That was our moment. Daniel Sturridge – 7 – Looked sharp and made Clyne’s chance. In truth, should have come on much earlier.